Once again we have a classic in stock. This lugged steel frameset got a beautiful new powder coat a while back, and last week we built it up as a nice city cruiser. We’d been calling the paint “veridian” due to the greenish tinge, but truth be told it’s probably closer to a more standard blue. But even so, it still falls within what seems to be the general consensus of veridian. Whatever you’d like to call it, it’s pretty easy on the eyes. A lot of our favorite parts went into this build. A Handsome single-ring crankset is mated to an 11-34 cassette for a decent low gear, without the trouble of a front derailleur. 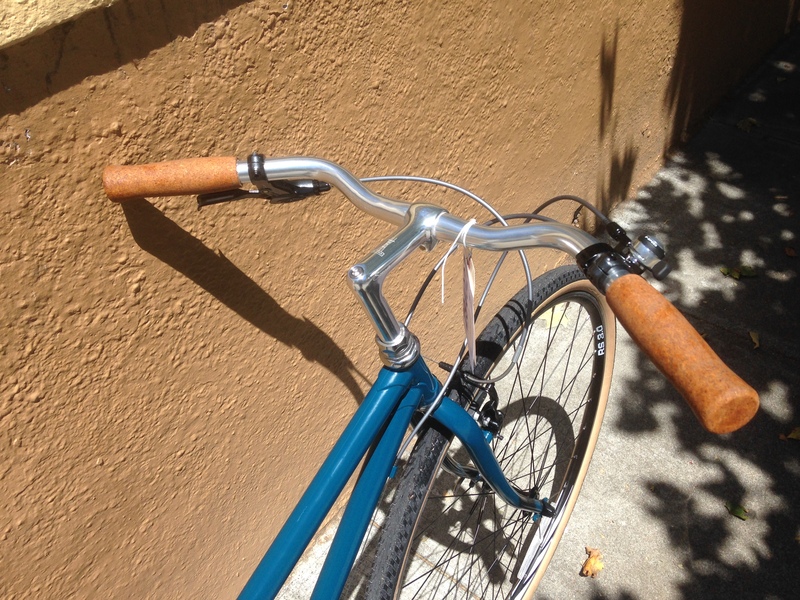 The shifter is a nice-quality IRD indexed thumbie, which should provide years of trouble-free service. 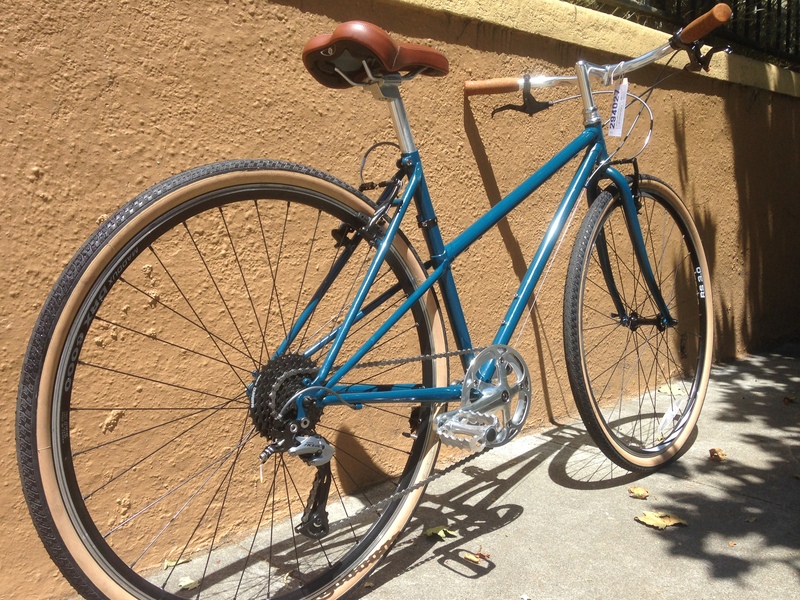 A solid set of wheels wrapped with Panaracer Pasela 700 x 32 tires should also be ready for the long haul, whether that means daily commutes down Market Street or weekend escapades through Golden Gate park. 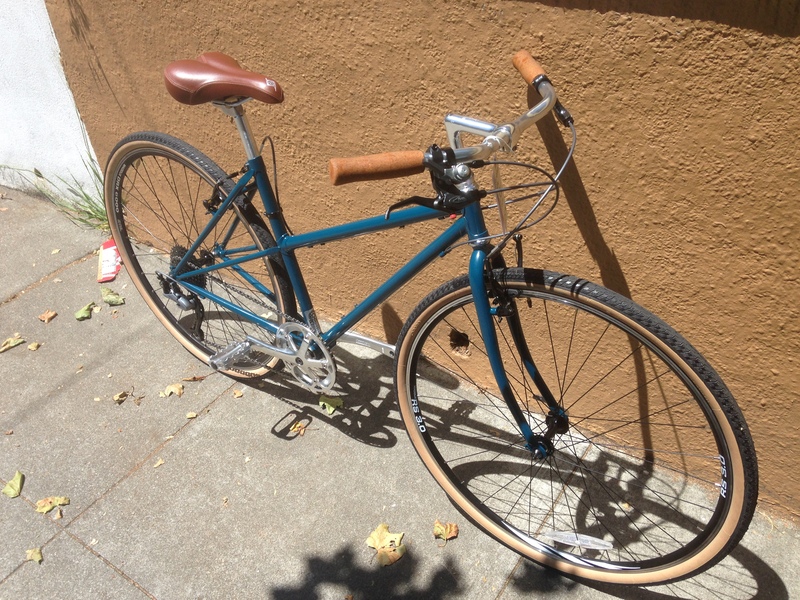 If desired, this bike could easily be outfitted with a front rack and/or fenders for added versatility. It looks fresh & spotless now, but you needn’t be afraid of getting this bike dirty!